The health care market has undergone more profound changes in the past five years than it experienced during the entire preceding 50-year period. Many unprecedented factors are now at play that are impacting the way employers structure their health care benefits. The Patient Protection and Affordable Care Act (PPACA), an overall decline in the health of Americans, and the aging of our population are all creating strong financial incentives for employers to rethink their health care investments in hopes of achieving a better return. This includes evaluating changes to their health care strategies for both pre-65 and Medicare-eligible retirees. 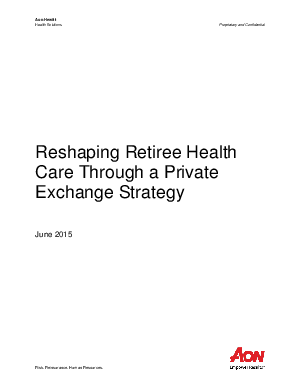 While private retiree health exchanges have existed for years, the approaches taken by their providers vary widely. Read this white paper to learn why it’s critical for employers to evaluate key differences between retiree exchanges— especially the level of support offered to retirees—when determining which model will best meet their organizational needs, as well as the needs of their retiree populations.